We're back! And it's time to talk games. We kick things off talking a bit about the Twitch streaming we've been doing and plan to do. Then it's off to the news when we discuss the new Spider-Man game landing exclusively on PS4, God of War 4 getting an earlier release date, plus details on BlizzCon 2018. After our news segment, we talk about the games we've been playing recently including Player Unknowns Battlegrounds (PUBG) on mobile and Stardew Valley and Nine ... See More Parchments on Nintendo Switch. Join us every other Wednesday night at 9PM EST on Twitch at twitch.tv/heroespodcasts! 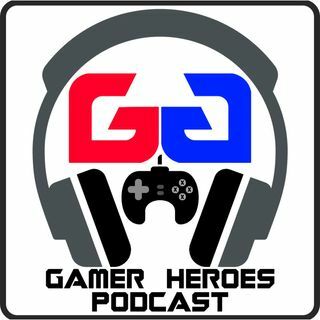 Subscribe and review us on iTunes for a chance to win a free video game! Stop by our Patreon to see what kinds of cool perks you can get for being one of our contributors: patreon.com/HeroesPodcasts. Not looking for a long-term commitment? Buy us a coffee over at ko-fi.com/heroespodcasts!